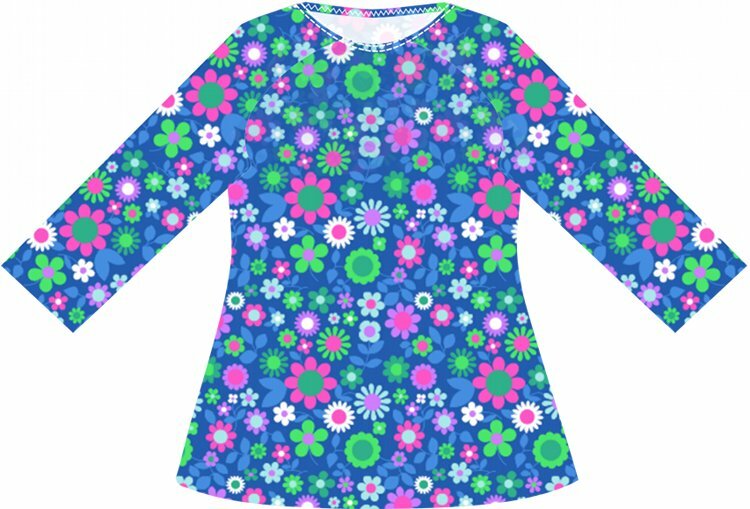 Sizes 3T through 15Y can be bought in my online store. 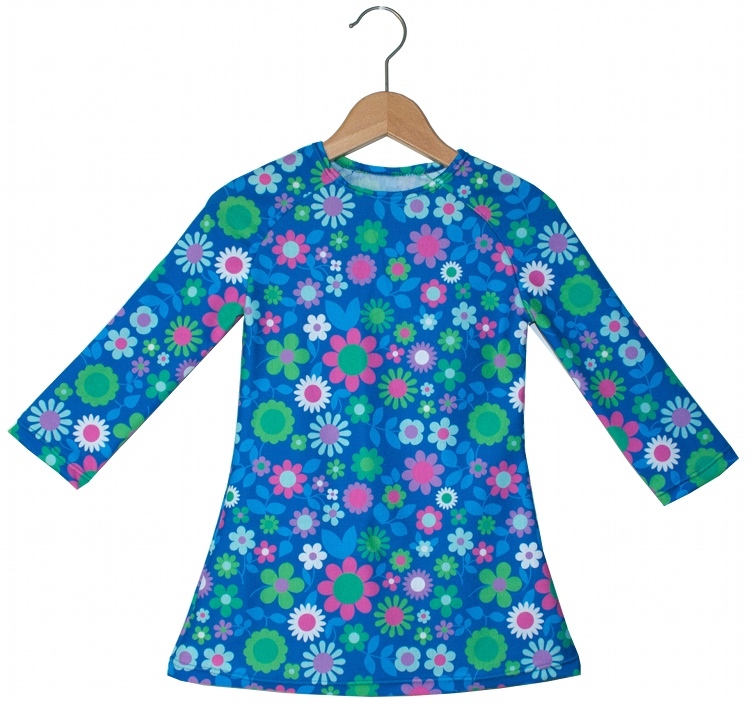 The dress closes with two snaps at the back for size newborn through 2T to make it easy to put the dress on. 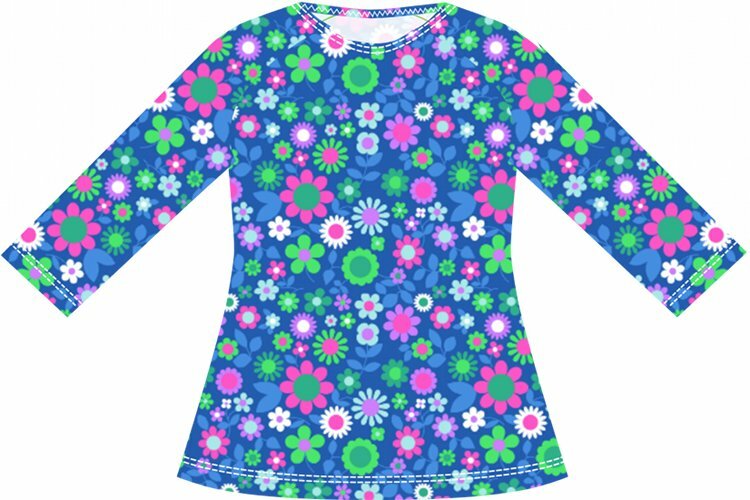 When working with knits, it is important not to stretch or pull the fabric while sewing. Also use a stretch needle and a stretch stitch. In this pattern all seams are sewed with a twin needle, unless indicated otherwise. Only the upper notches of the sleeve and the plackets are sewn with a straight stitch. Print the sewing pattern in landscape mode at 100% on A4 paper or US Letter. Draw the pattern with an aqua trickmarker on the back of the fabric. The pattern is without seam allowance. Add 1 cm (5/8 inch) seam allowance. 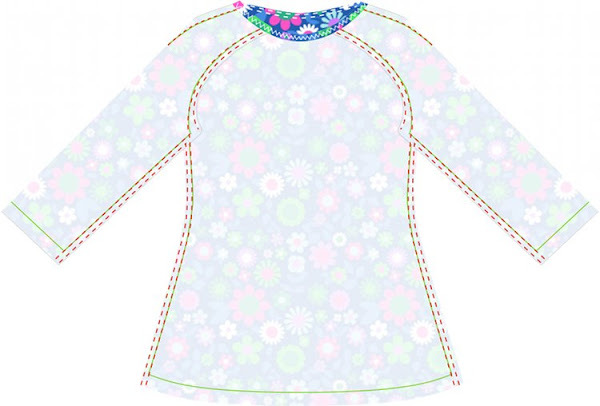 Add 2 cm (1 inch) seam allowance at the bottom of the sleeves and the bottom of the dress. Step 1b : Draw the plackets at the right side of the back piece and at the right sleeve. 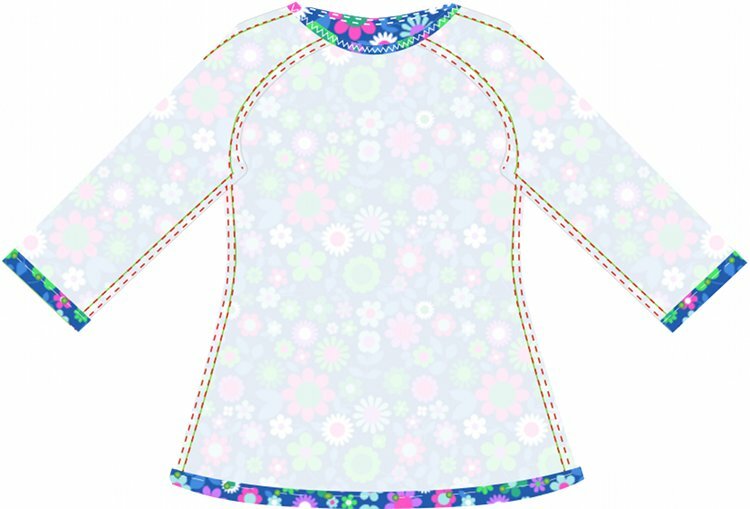 For sizes newborn through 2T only: Draw the snap plackets at the right side of the back piece and at the back side of the right sleeve. Draw the plackets without additional seam allowance. Cut a front piece, a back piece and and two sleeves out of the fabric. Step 2b: Sew the placket of the right sleeve. seam allowance at the bottom of the placket to the inside and pin down. Fold the placket in half and pin down. Sew together. Use a single needle with a straight stitch. Step 3: Sew the upper notches of the sleeve closed. Sew the upper notches of the sleeve closed. Use a single needle with a straight stitch. Stap 3b: Sew the placket of the back piece. seam allowance at the bottom of the placket to the inside and pin down. Fold the placket to the inside and pin down. Sew together. Use a single needle with a straight stitch. Step 4: Sew the sleeves to the front and back piece. With right sides facing, sew the sleeves to the front and back piece. Use a stretch needle and a stretch stitch. Step 5: Fold seam allowance neckline to the inside. Turn the dress right side out and sew neckline. 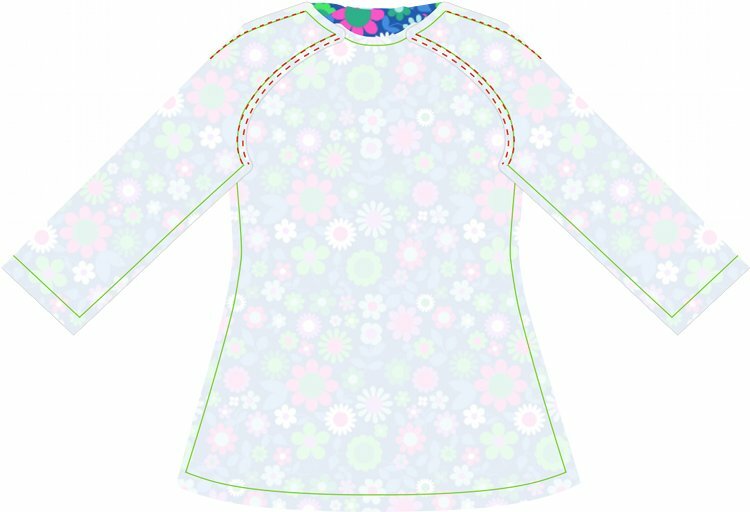 Step 7: Sew the sides of the dress and the sides of the sleeves. Turn dress wrong-side out. Pin down the sides of the dress and the bottom of the sleeves. Sew toghether. Step 9: Sew the hems in place. For sizes newborn through 2T only: Attach the snaps to the back of the dress.